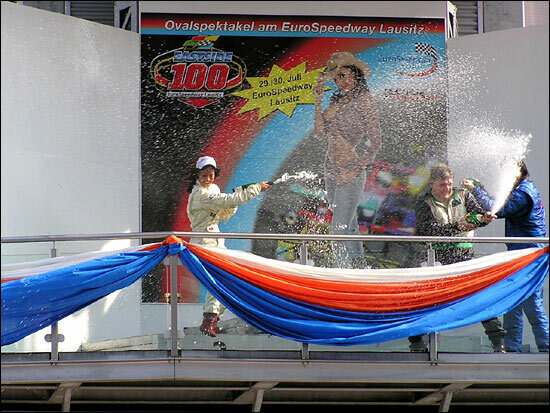 Eastern Germany has an active motorsports scene that dates back to the days of the former Germany Democratic Republic; at the same time the EuroSpeedway Lausitz stands for the American way of racing. In this sense, the Eastside 100 weekend was an interesting mix of East and West. Along with two races for Formula 3 cars on the banked oval, a number of support races took place on the infield track in its short 3.4km configuration. 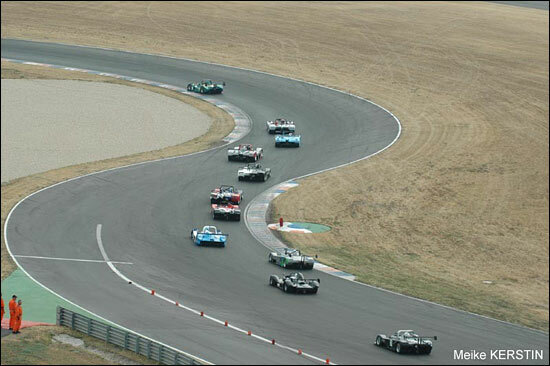 Thirteen sportscar racers converged for races 7 and 8 of the 2006 Sports Car Challenge. Briton Tony Sinclair was ready for a return to his usual winning form after the black Hockenheim weekend; he made this clear by clinching his almost customary pole position in qualifying for race 1 on Saturday. 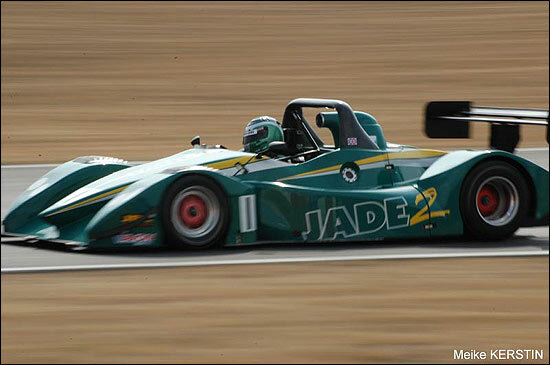 It looked like a clean sweep of pole and the first race for the Jade team until the fuel pump had enough on lap 11, and Sinclair coasted to a halt on the banking. Wolfgang Payr, in the PRC with Cosworth V8 power, had initially fallen back to fourth place but worked his way back into the lead, persistently chased by Sabrina Hungerbühler in the Osella. The petite Swiss lady and her baby blue car don’t make for the most aggressive package as far as sheer looks are concerned; out on the track the story is a very different one indeed. Tenth by tenth, Payr’s advantage started melting. Across the finish line, a mere 0,9 seconds decided the race in favour of the Austrian. Division 2 did see a Swiss victory, as Pius Truffer once again had it all his way and controlled his main opponents Peter Kormann and Emanuel Pedrazza from start to finish. This meant a clean sweep of the class podium for the PRC chassis, but with very different engines. 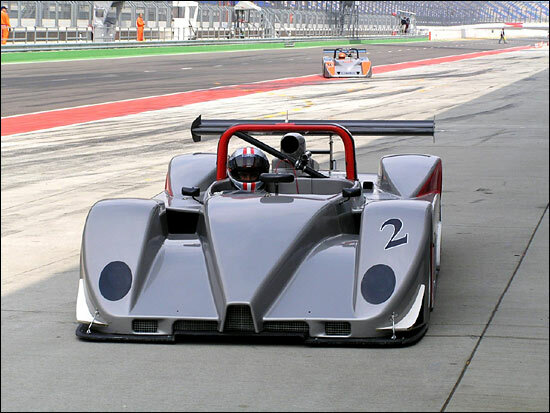 Truffer and Kormann use BMW powerplants; Kormann relies on a descendant of the venerable Formula 2 engine that almost exclusively powered 2 litre sportscar racing and the European Hillclimb Championship throughout the 1970s and 1980s. Pedrazza, on the other hand, fulfilled his role as PRC test driver in one of his sporadic appearances in the championship, his car was equipped with a brand new Honda VTEC engine built to FIA Group CN regulations. A podium position for a new car, then; Pedrazza nearly repeated this feat in the Sunday race. 2. Sabrina Hungerbühler / CH, Osella-BMW (2. Div.1), -0,919 Sec. On Sunday afternoon, in front of some 20,000 spectators, Sinclair again had pole position, and this time nothing and no one stood in his way as he ended his streak of DNFs and took an important step back toward the defence of his 2005 class title. Whenever he has finished a race this year, it has been in P1: the three DNFs have done some damage though, he is currently only third in the overall series standings. The fastest Division 2 contender, Truffer keeps appearing in the Top 4 overall - he did so again on Sunday – and keeps raking in valuable points that put him in second place in the title chase. Back to the race, where Sinclair’s cause was helped by Payr’s misfortune; this time it was the Austrian’s turn to experience technical problems - only two laps into the race - and pull off the track. Sinclair then had his mirrors full of baby blue racecar for a while, as Sabrina Hungerbühler fought to keep up with the IES-powered Jade’s pace. Ultimately, Sinclair controlled the race from the front as he kept his advantage at a steady five to seven seconds. Germany’s Gerd Beisel, the first race’s unlucky fourth (but still third in class), had again opted to leave his ex-Daytona Norma M2000 in the garage and rely on his trusty PRC-BMW. He fended off Pius Truffer for third place this time, the Swiss of course a commanding winner in Division 2. With Kormann again safe in second place and Pedrazza out after a sudden loss of engine power, Karl-Heinz Matzinger in his Opel-powered PRC secured third place in class. So far, the former touring car driver’s first season in sportscar racing has been a rollercoaster ride that has seen him either behind a towtruck or on the podium. 2. Sabrina Hungerbühler / CH, Osella-BMW (2. Div.1), -7,041 Sec. The Sports Car Challenge stays in the former Eastern Block for its next two races, in support of the Czech Truck Grand Prix at Most on August 26 / 27.